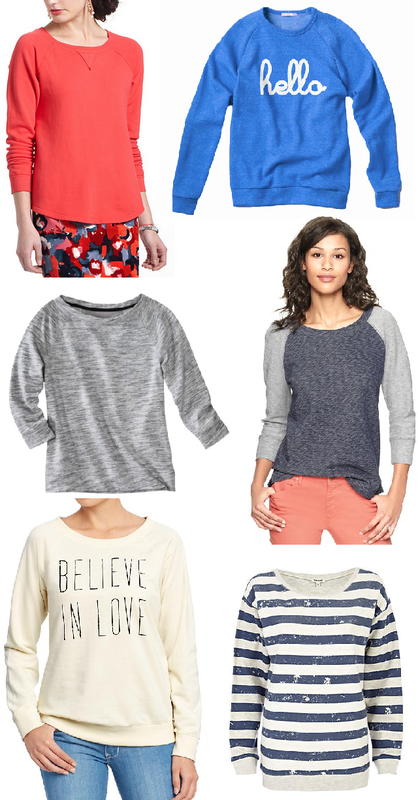 These are some great sweatshirts to play with this Spring - dress them up with something unexpected or wear them with your favorite jeans to keep the outfit casual. Either way, sweatshirts are all the rage for Spring. From simple graphics to stripes to solids, don't be afraid to cozy up in one of these guys while leaving the house!